Rose high quality individually wrapped 200 µL or 1000 µL sterile pipette tips are ideal for applications requiring strict aseptic conditions. 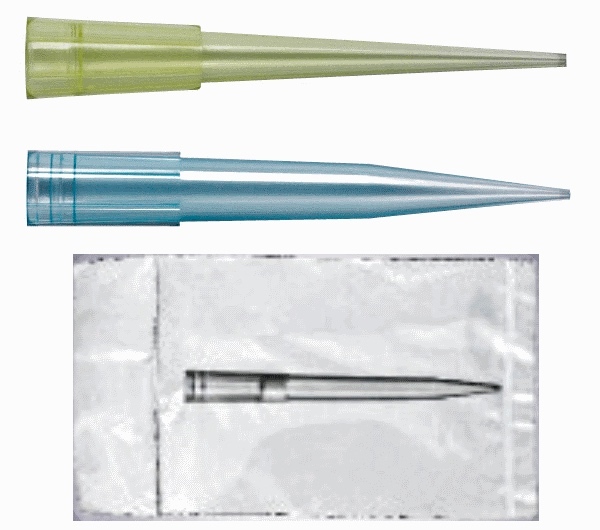 These tips are designed to work well and fit most major brands of pipettors. Please also see the Rose Brand sterile individually wrapped 15 and 50 mL conical tubes. Rose Brand pipet tips are manufactured of premium grade metal free virgin polypropylene to rigid quality control standards. No mold release agents are used in the manufacturing process and the tips are certified free of RNase, DNase, and Pyrogen contamination. The tips are autoclavable at a recommended temperature of 120°C at 15 PSI for 15 minutes. Available sterile or non-sterile, packaged as sterile single wrap or in variety of bags and racks.